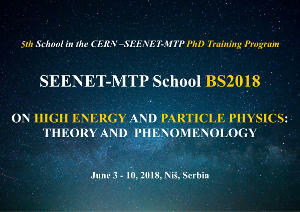 The main part of the CERN – SEENET-MTP PhD Training Program consists in a series of intense, self-connected, one-week seminars for PhD students. In some exceptional well justified cases Master students in the last year, as well as young postdocs could be included. As a rule, each seminar will include lectures followed by appropriate exercises, given by 2-3 professors-specialist and 1-2 assistants. 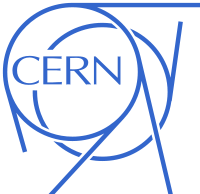 It is planned to organize 3-5 seminars per year. The full SEENET-MTP member nodes are the main partners in the Program, but the other nodes and partner institutions, as well as individuals, are also able to to join the program. Travel expenses and most of the local expenses is covered. Selection of students and coordination of the program is the join responsibility of the Program Committee and local organizer of the particular events. We expect some high-level institutions from Europe to join and support the program. 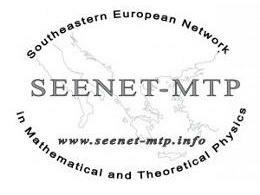 The SEENET-MTP Office welcome students interested in participating in the Program who are not individual members of the SEENET-MTP yet to join us by filling the registration form for the Network.